When it comes to televisions, Samsung is clearly one of the leaders and innovators in the industry, so we were excited to attend Samsung’s event showcasing their latest flagship television lineup. 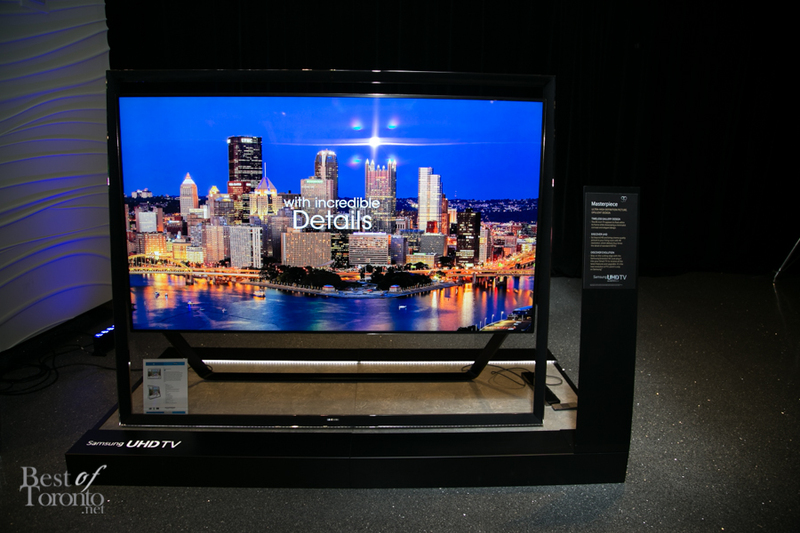 On display were Samsung’s Series 9 line of Ultra High Definition (UHD) SMART TVs, in the 55″, 65″, and 85″ sizes, a well as the full HD Curved OLED TV, coming in at 55″. This is the first time that the Curved OLED TV was shown in Canada. From a hardware perspective, the extremely thin bezels, and the floating frame design of the 85″ UHD and 55″ OLED TVs gave these televisions a very sleek, and modern appearance that anyone would want in their living room. The picture quality of the UHD SMART TVs was simply breathtaking. At larger screen sizes, any 1080p TV’s clarity degrades simply because the same number of pixels are spread over a larger area. Now, with four times the resolution of full HD, UHD televisions bring a detail and sharpness that needs to be seen up close to fully appreciate. To further highlight these televisions, Samsung invited popular, Toronto-based, visual artist Jon Todd to paint an original piece live, and musical talent Justin Nozuka to provide an intimate concert for the crowd. A professional camera crew streamed these performances live to the TVs, which very accurately displayed Todd’s intricate brushstrokes on canvas, and Nozuka’s precise strumming of the strings of his guitar. 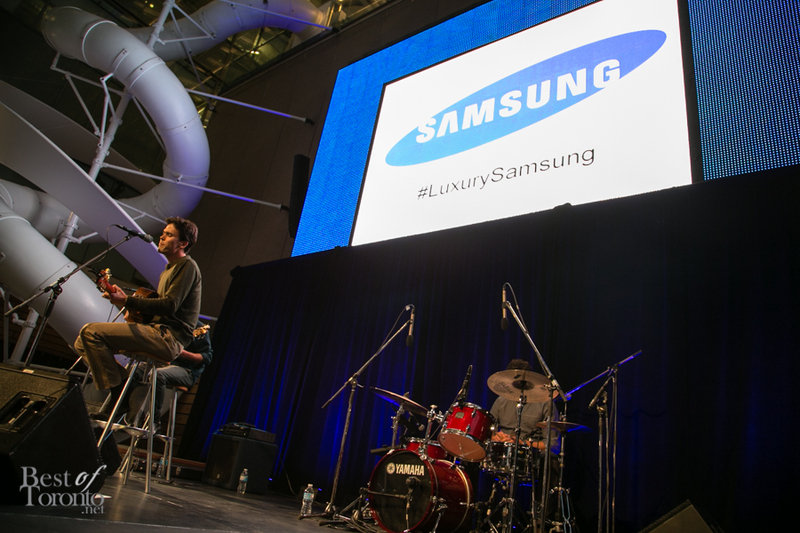 Corus Quay served as the perfect venue to complement both of these artists, and Samsung’s products on display. The new TVs also include Samsung’s SMART suite of features, including gesture control and Skype video conferencing via the built in camera, Internet and social media connectivity, and device integration of their smartphones and tablets. 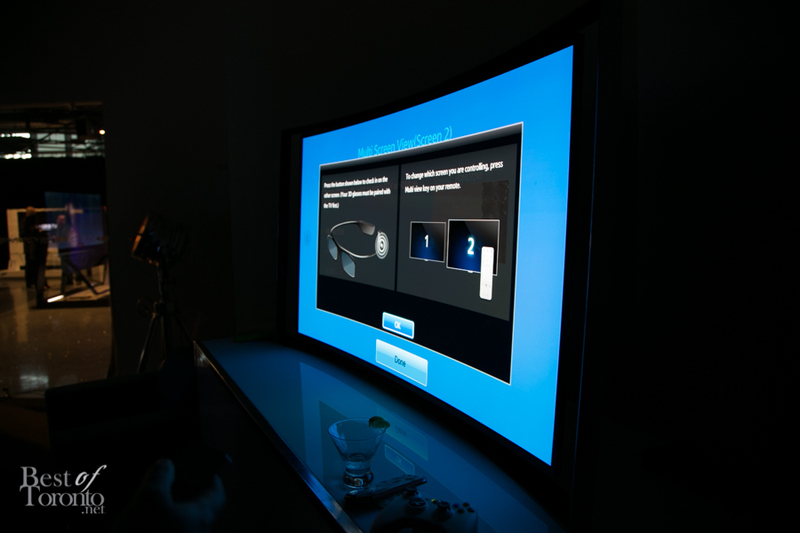 In particular, the Curved OLED TV includes a very cool feature called Multi View, which together with the included 3D glasses (with built-in earbuds), two people can watch two different programs or sources, or play a multiplayer game, at the same time, full screen, on the same TV! While not at UHD resolution, the OLED TV still offered amazing picture quality, thanks to the infinite contrast and expanded colour range only made possible by OLED technology. With these impressive features and hardware, Samsung truly offers a glimpse into the future of televisions. 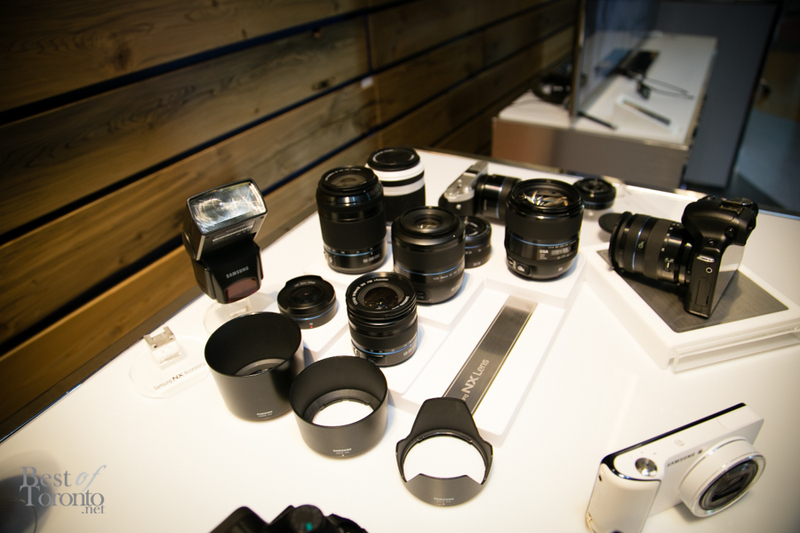 Many of Samsung’s other products were also on display at this event, including the NX line of interchangeable lens SMART cameras, the well-connected 21x optical zoom Galaxy Camera, and the entire lineup of Galaxy tablets and smartphones of various sizes. The product experts were knowledgeable and friendly, and demonstrated how well Samsung’s products can perform individually, and together in Samsung’s device ecosystem. The casual atmosphere, the live performances, and the seemingly endless food and drink, provided a great setting to experience Samsung’s products. We look forward to what’s to come from Samsung in the future.